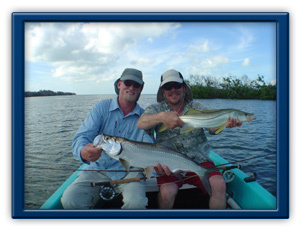 Cancun Flats Fishing - Fly fishing charters in Cancun and Isla Blanca. Baby Tarpon and Snook can be found year round in the Cancun and Isla Blanca area. If you're looking for Bonefish, the summer months are the most productive. For those who are after Permit, Isla Blanca is the way to go with large numbers of fish showing up in May through August and are the peak months. Months Jan. Feb. Mar. Apr. May Jun. Jul. Aug. Sep. Oct. Nov. Dec.